Sour Seville Oranges are not meant to be eaten like regular oranges, but rather are used for their rinds or juices in a variety of recipes. 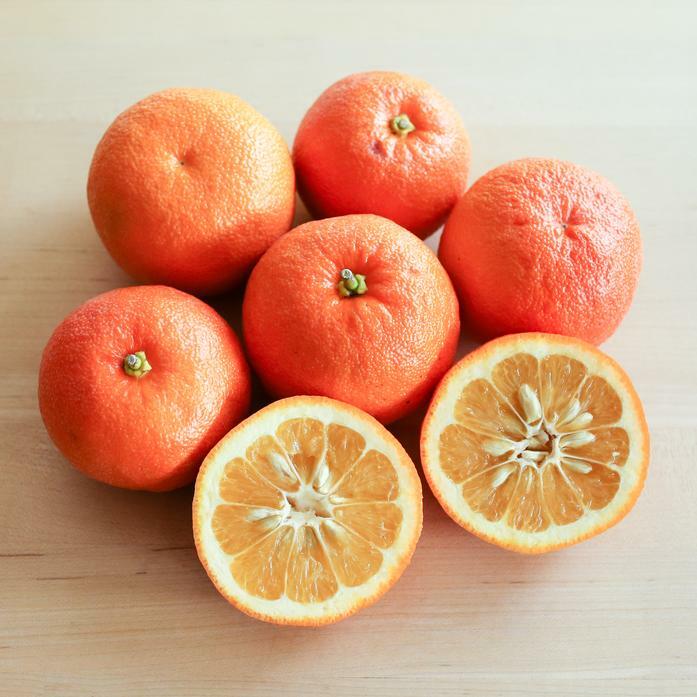 This citrus fruit has a very fragrant peel and lots of high-acid, sour juice. The rind is amazing in marmalades, desserts, and sauces, while the juice is amazing in marinades from chicken to salmon. It also works incredibly well in a cocktail!